Looking for an extra Qi wireless charger for your iPhone 8/8 Plus, iPhone X, iPhone XS/XS Max or iPhone XR, that won’t break the bank? 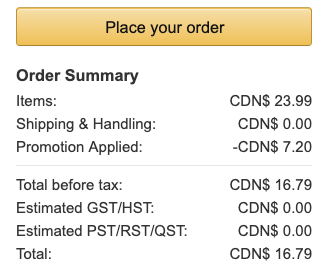 Check out the following sale on this 7.5W fast wireless model from CHOETECH on Amazon.ca, offering 30% off with coupon 3WLQRZD6, taking the price down to $16.79, its lowest price ever according to price tracker CamelCamelCamel. 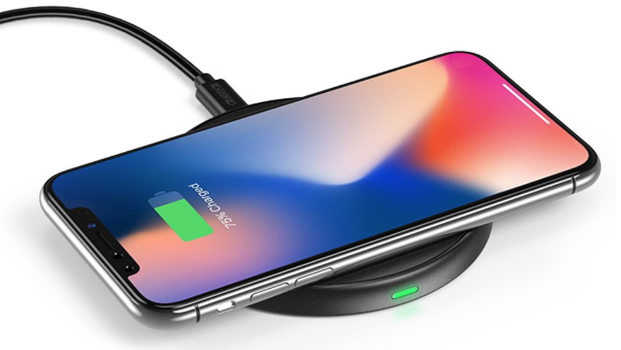 The CHOETECH 7.5W Qi wireless charging pad will juice up your iPhone at 7.5W, while also offer 10W fast charging for compatible Android smartphones, while includes temperature controls for safe charging, reads the description. The case-friendly charging pad uses a micro USB, has anti-slip rubber on the surface plus on the bottom, along with an LED indicator. It sits 9.2 cm wide and is 9.7mm thin. CHOETECH says their safety features include over-current protection, over-heat protection, over-voltage protection and short circuit protection. You will require your own USB wall adapter with output of 2A or above (iPad AC adapter, not the sad stock iPhone AC adapter) to utilize the quicker charging, while fast wireless charging for Android phones will require a Quick Charge 2.0/3.0 charger. 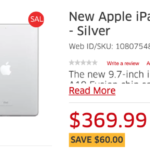 Click here to jump on the this 7.5W wireless charging pad while it’s still on sale.